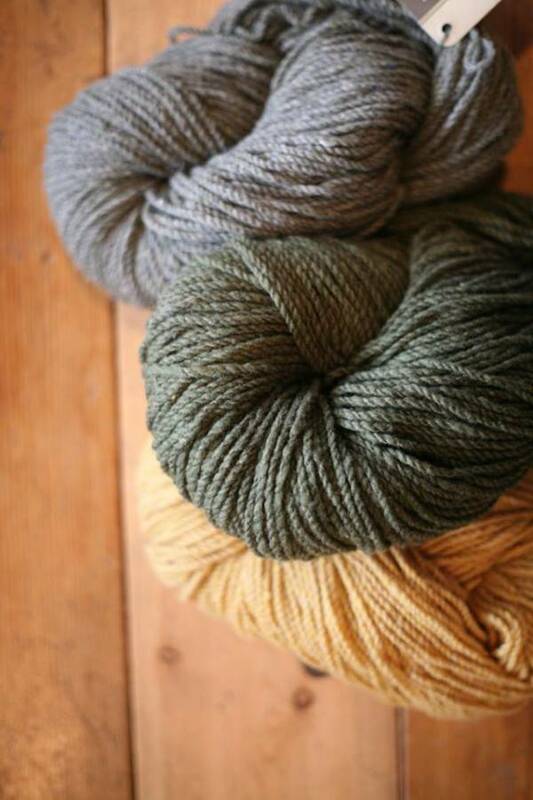 A few months ago I blogged about our newest yarn – Imperial Yarn Columbia. 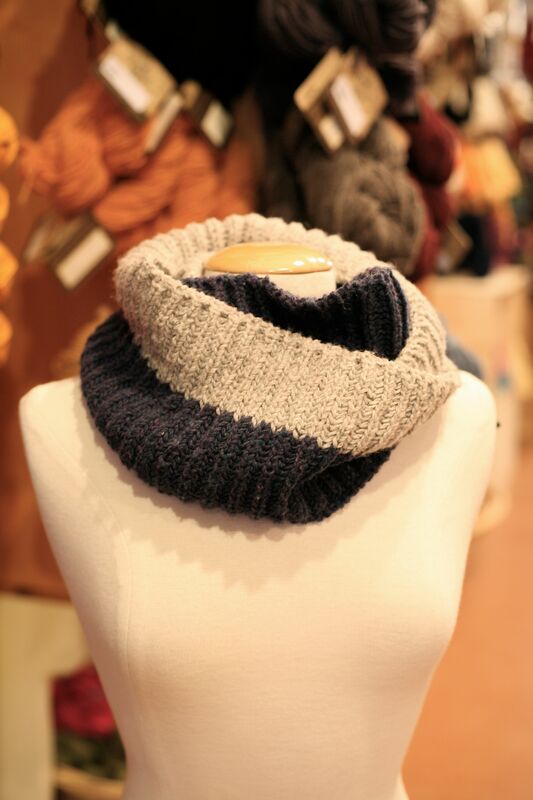 I knit the Kennebec Cowl by Dawn Cantazaro in Wool People 5 with the Columbia – I absolutely love the finished product. 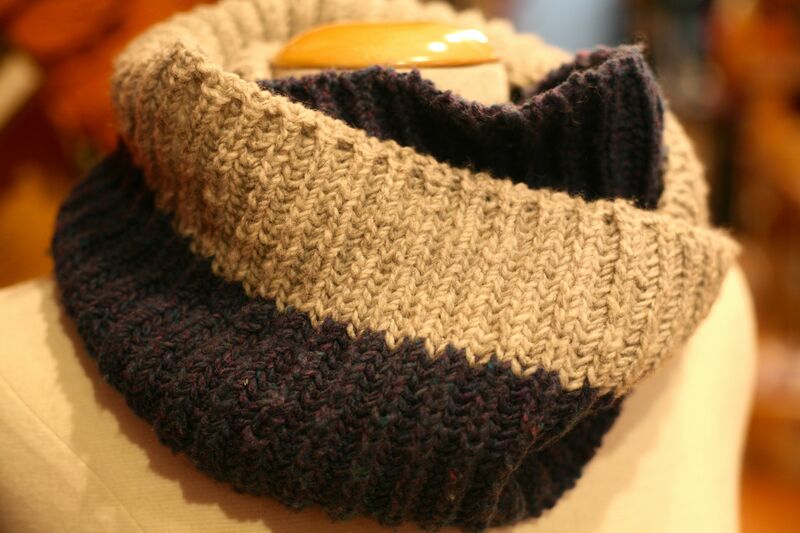 Knit in the round in the Brioche Stitch the end result is a squishy, lofty, lovely cowl! It can be worn hanging low, or wrapped around twice! I used two skeins of Imperial yarn, and I can’t wait for my next project to cast on with this yarn! This is a great yarn company – who produce some beautiful yarn from sheep that are born and raised in Oregon – a family run business for over 140 years! Come check out all the amazing colours we have in the shop, and cast on your next project! (Thanks to Annie for modeling). I love the dress! How do I find out how to make/buy my own of it? that is a really good question – I will ask Annie (wearing the dress in the picture) where she got it?